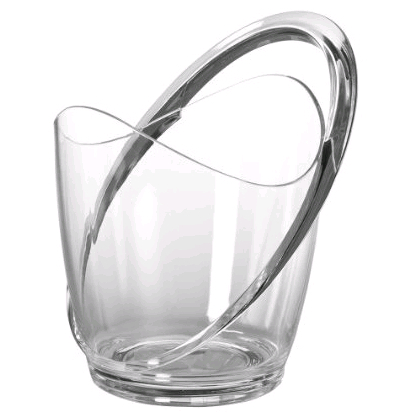 This attractive wine bucket from Prodyne encompasses both style and function. The molded-in handle makes this bucket easy to carry, and the acrylic body makes this piece shatter proof and extremely durable. The scalloped design and the offset handle add energetic flair to this wine bucket, making it perfect for entertaining. Great for use with ice to keep your wine chilled.